Tie vectors (TVs) measured at co-location sites carry fundamental information for the computation of the International Terrestrial Reference Frame (ITRF). The combination of the different frames stemming from each space geodetic (SG) technique relies on the availability and accuracy of the relative positions between reference points of co-located SG instruments, i.e. TV. If, on the one hand, TVs accurate at 1mm level are sought to preserve the accuracy of the global frame and fulfill the requirements of the global geodetic observing system (GGOS), on the other hand, the assessment of TVs accuracy is not easy. Their accuracies are often questioned on the base of their agreement within the combination of SG solutions and the combination residuals. Though, the final discrepancies highlighted by the combination residuals do not depend uniquely on the accuracy of the TVs but are influenced by several factors of different origin. 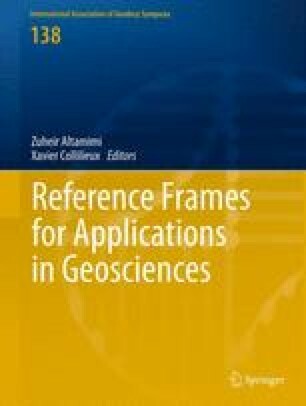 In this paper, we identify some of these factors and investigate their possible origin adopting different perspectives: local ties and terrestrial surveying, SG techniques and frames combination. Our purpose is to highlight some of the possible systematic errors in terrestrial and SG data analysis as well as to identify actions to be taken in the near future to mitigate the biases highlighted by the residuals of the combination. In contrast to what is commonly assumed, we show that the residuals are potentially influenced by a combination of biases affecting the TVs, their alignment and the SG solutions. Therefore, an objective evaluation of the error sources is necessary for each SG technique in order to improve their results as well as the combined SG products.